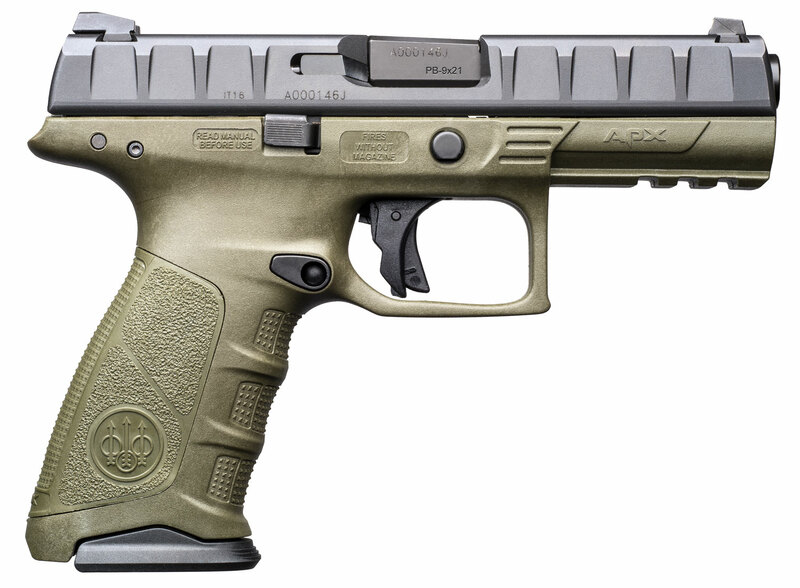 The Beretta's APX is designed specifically for military and law enforcement operators. It delivers superior performance in durability and reliability, ergonomics, trigger, and modularity. It utilizes a removable, serialized chassis frame, striker fire operating system, three interchangeable back straps, full length slide serrations, reversible magazine release, and an ambidextrous slide stop.The APX RDO incorporates a factory slide cut to accept one of four different optic plates. The pistol plates support Mini-Red Dot Optics from Burris, Trjicon, Leupold, and C-More. Included is a fixed blanking plate that covers the slide cut and allows the pistol to be used sans optic mount.This 40S&W model has a black finish, 4.25" barrel, and comes with a 10-round magazine.